Lots of 2-4 head ratio super deformed characters in all kinds of romantic poses! 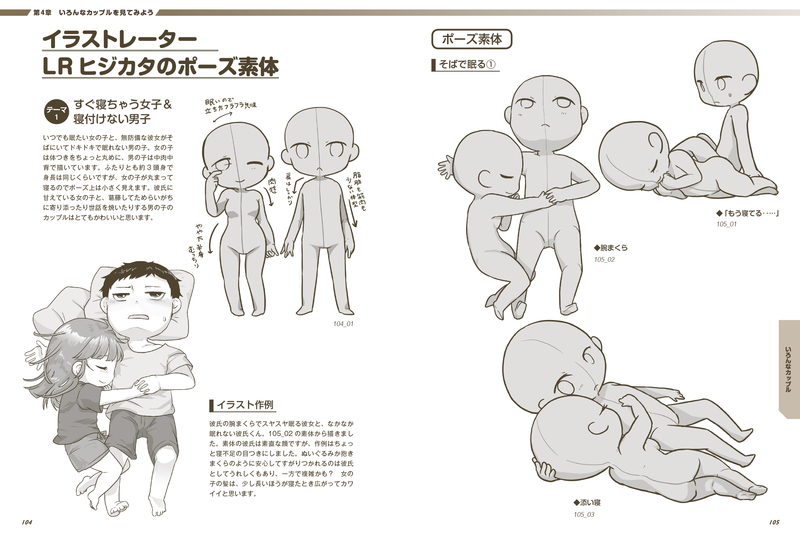 If you find it difficult to draw super deformed bodies in lovey-dovey poses, this book is the perfect reference! It also teaches you tips and techniques to draw your characters in intimate positions.